Marshy and swampy ground, shores, ditches, and bogs and fen margins, usually in ± open places. The shoots, even when young, lack stipules (cf. S. nigra); see also comments under S. eriocephala. 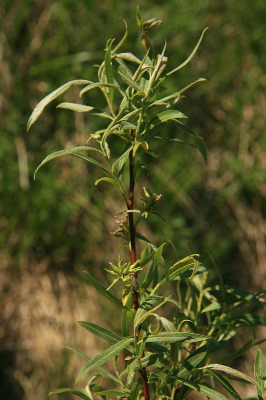 Pubescent plants have been called Salix subsericea; these sometimes presumed to be hybrids with S. sericea. In Michigan, such plants occur well beyond the range of S. sericea and appear to be part of the normal variation of S. petiolaris. MICHIGAN FLORA ONLINE. A. A. Reznicek, E. G. Voss, & B. S. Walters. February 2011. University of Michigan. Web. 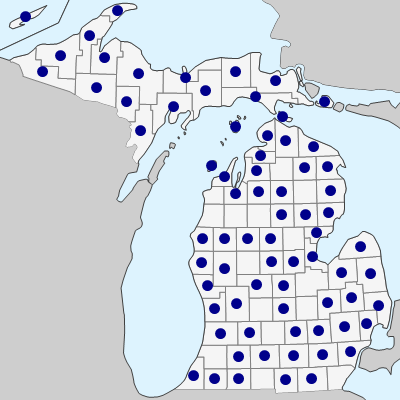 April 21, 2019. https://michiganflora.net/species.aspx?id=2637.